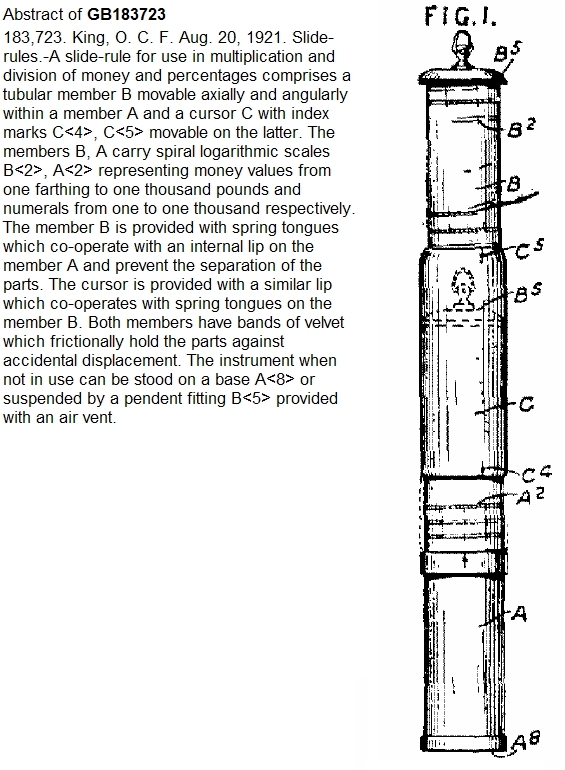 What at first appears to be a modest spyscope is in fact a remarkably compact cylindrical slide rule patented in 1921. This little gem is known as Otis King's Patent Calculator and can perform multiplication and division, logs, anti-logs, square roots and arbitrary exponential powers. 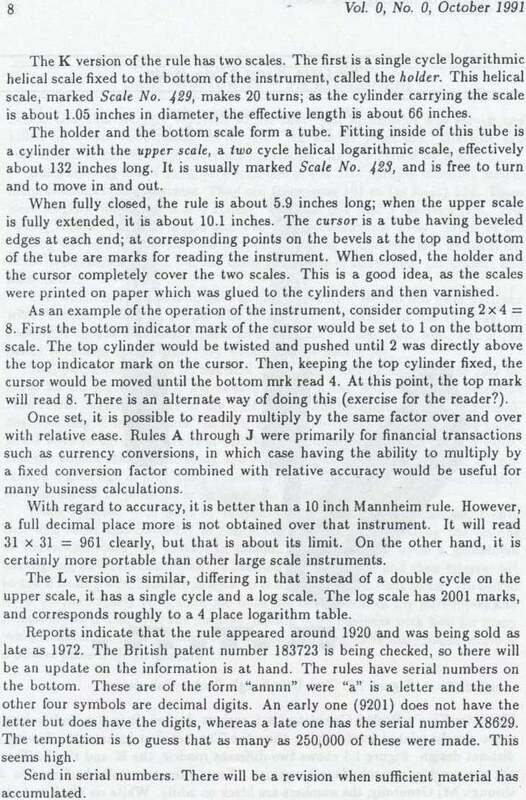 The compact helical scale is effectively much longer than a standard slide rule, providing greater precision than would ordinarily be possible -- the model K's scale is the equivalent of a 66 inch slide rule! The photos (from the 2003 East Coast Oughtred Society Meeting) can be seen here.